One of the most disheartening aspects of having an online presence is repeatedly failing to get traffic. Everybody likes to see the analytics reports announce an increase in site views. Why? Most people are interested in increasing their traffic to some extent. Traffic translates to profits, plain and simple. Every online business needs to bring in more traffic. Forums are the ideal tool for funneling people to your site. All forums deal with a certain part of the market, not the entire market as a whole. Focus on a forum that directly relates to your niche, such as a childcare forum if you run a nanny or babysitting site, or a home maintenance forum if you deal with home care and handyman issues. Another criteria for a good forum is a high membership and a lot of active participation. If the forum does not have many members, then your aim of generating more traffic is wasted. The Warrior Forum and Digital Point Forums are two examples of online forums that fit the criteria for high quality, active forums within a focused niche. Warrior Forums are built around the numerous facets of Internet marketing, including optimizing your site and affiliate program reviews. 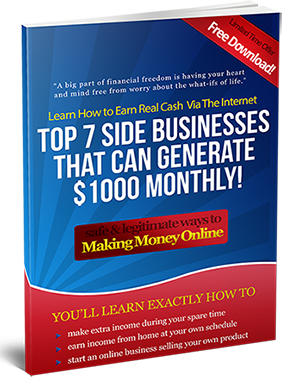 A lot of Internet marketers participate, so you will gain lot of knowledge regarding your online business. The Digital Point Forum is similar to the Warrior Forum, but focuses more on the technical part of search engine optimization. If you want more information on the technical aspects of optimizing your site, you would benefit from this forum. After locating your forum, you will need to apply for membership and await acceptance. Frequently newbies will jump into conversations as soon as they receive their membership acceptance notification. This is putting the cart before the horse. Give yourself time to get accustomed to the workings of the forum before starting to post. Make sure you completely understand both written and unwritten guidelines. Analyze the general feeling of the posts. Are the posts gruff and straightforward, or encouraging and tactful? For example, you don’t want to promote atheism on a Christian encouragement forum. That would be against the purpose of the site and would not do well in establishing a positive reputation for you. Once you know the ins and outs of the forum, start commenting. Contribute to the conversations in a constructive way to build up your credibility and help your fellow members. Many people join forums purely for the sake of self-promotion or site-promotion. If people think you are using them, your reputation will plummet. To get other’s confidence, you need to participate usefully. The traffic will come eventually. Give your signature some thought. Your signature which appears at the end of all your posts, is basically your name and perhaps a quote or description, all of which link to your website. When other participants are interested in your post, they may want to know more about you. When they click on your signature it takes them directly to your website. This is how your posts generate free traffic without any self-promotion. Forums are valuable tools in the Internet marketing world. People chat, share experiences and ideas, and eventually pass around links and product recommendations. When you find a forum that meets the proper criteria, start famliarizing yourself, begin commenting, and before long you’ll be benefiting in many ways. Just remember to keep it real.